Slow demand, plus overproduction equals a buyer’s market. Mark Liu, senior analyst at DRAMeXchange, said the main reason for price decline is because DRAM makers are having difficulty reducing inventory. The DRAM suppliers’ fulfillment rate went from 90 percent last quarter to 120 percent in this quarter, which means there is an oversupply. Major operators of data centers in North America have enough server memory inventory to last for at least five to six weeks, while OEMs have around four weeks of inventory. That’s double the normal levels or even higher. With the massive expansion of data centers around the globe and the demand for in-memory applications, it’s not hard to see where the demand came from. 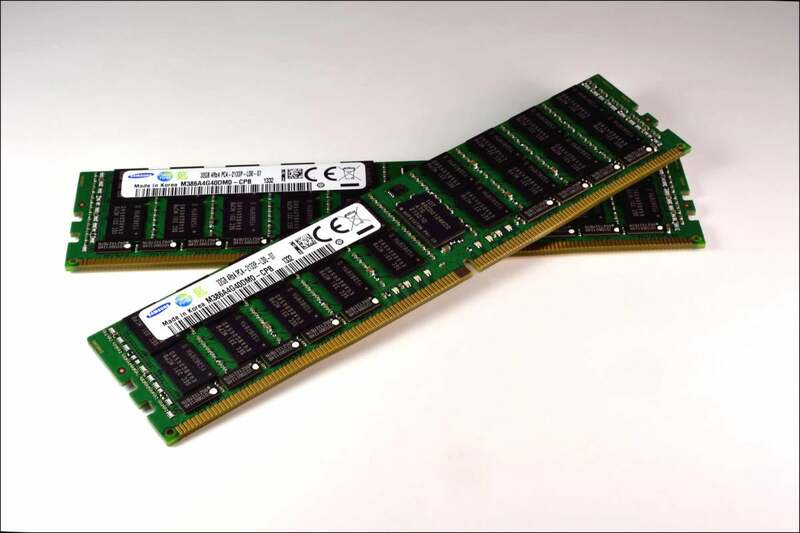 Memory makers like Micron and SK Hynix got their DDR4 production down to a science and were churning out a lot of memory for the last two years. But the upgrade cycle to Intel’s Purley platform for Xeon has started to wear off, and memory component orders have also been fulfilled. More pressing is the uncertainties brought by the threat of a trade war, which may also affect the DRAM market. I say may because a lot of DRAM manufacturing is not done in China. Micron makes its memory in Idaho, while Hynix is in Korea. If the DRAM is installed after the bare bones server is brought into the country, then it is not affected by the tariff. But if it is sold in a completed system, then the system itself would be affected by the tariff, not the individual components. And we’re talking a potential 25 percent tariff. DRAMeXchange believes that the demand for servers will begin to recover in the second quarter. And if the inventory problems are addressed, server DRAM price decline may be moderated in the third quarter and by Q4, annual price fall to almost 50 percent. With data center operators and OEMs anticipating falling prices and an expected cutback in production by the manufacturers, then prices could go up in the future. So even if you have an oversupply in the closet, the time to buy is now while the prices are in decline because it won’t last that way forever.